This is a very puzzling brain teaser! Took me a while to get it. 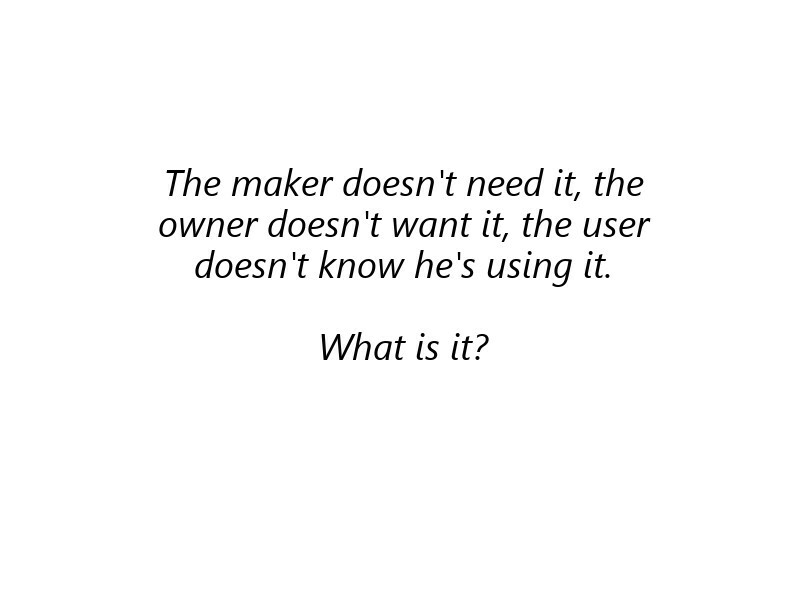 Can you think of something that the maker doesn't need, the owner doesn't want, and the user doesn't know he's using? ?